According to Central Cancer Registry of Puerto Rico, cancer is the disease that causes the greatest number of premature deaths in the island, causing about 5,000 deaths each year. This means that everyone, at some point in our lives, we will be directly or indirectly touched by the disease, whether we have it ourselves or a family member, friend or acquaintance of ours is diagnosed. Whatever the case, it is important to know that there is hope despite the fear and physical and emotional instability that causes the disease. So then we present the short stories of several people who have experienced cancer from different perspectives. Know them! ECMIN. Z Otero Padro. In 2013, Padro Otero was diagnosed with ovarian cancer, she realized the ignorance that existed on the island for this type of cancer, the symptoms may go unnoticed or be confused with other health conditions. However, although at 32 he faced the shock when diagnosed with an aggressive cancer at an advanced stage, she imposed her strength and her desire to guide other women to recognize your body and know about ovarian cancer, making this goal a life mission. During the course of treatment, ECMIN found that many people were unaware of the existence of this cancer and, more alarmingly, many women were unaware that ovarian cancer is not detected by the Pap test. Moreover, she considered very regrettable that ovarian cancer is not promoted as much as other types of cancer, although their statistics are not very encouraging. Many women have died trying to fight for their life, especially those who were not diagnosed in time. From these experiences Whispers Ovarian Cancer, Inc., a nonprofit organization founded to raise awareness and promote education about ovarian cancer on the island, starting from the premise that the more women are educated and know this was born poor, more women will be diagnosed, increasing their chances of survival. Today, ECMIN, who is supported by her husband, Miguel Hermidas, and her 10 year old son, Adrian, is struggling again with the disease and is in the second week of a hormonal treatment, to try to block receptors estrogen associated with your type of cancer. 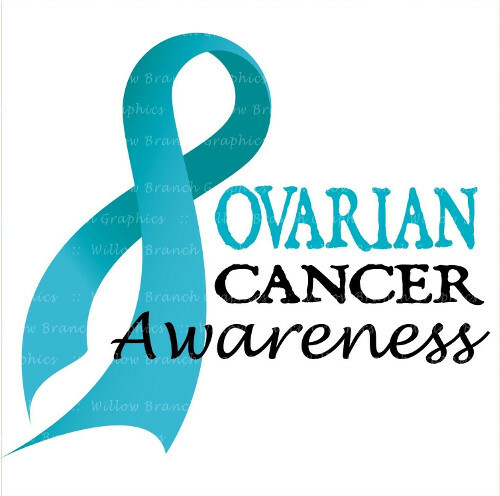 And, while acknowledging that this time has been a stronger experience, it is determined to fulfill its objectives of educating about ovarian cancer and the importance of not ignoring symptoms, sometimes confusing, which gives the disease. For information on the foundation, write to susurroscancerovario@gmail.com or look them up on Facebook under the key: susurroscancerovario. You can also send your donations through Paypal to susurroscancerovario@gmail.com or postal address: Ovarian Cancer Whispers, Inc., PO Box 954, Canovanas PR 00729. Puerto Rico.